Can Land Management Buffer Impacts of Climate Changes and Altered Fire Regimes on Ecosystems of the Southwestern United States? Climate changes and associated shifts in ecosystems and fire regimes present enormous challenges for the management of landscapes in the Southwestern US. A central question is whether management strategies can maintain or promote desired ecological conditions under projected future climates. We modeled wildfire and forest responses to climate changes and management activities using two ecosystem process models: FireBGCv2, simulated for the Jemez Mountains, New Mexico, and LANDIS-II, simulated for the Kaibab Plateau, Arizona. We modeled contemporary and two future climates—“Warm-Dry” (CCSM4 RCP 4.5) and “Hot-Arid” (HadGEM2ES RCP 8.5)—and four levels of management including fire suppression alone, a current treatment strategy, and two intensified treatment strategies. We found that Hot-Arid future climate resulted in a fundamental, persistent reorganization of ecosystems in both study areas, including biomass reduction, compositional shifts, and altered forest structure. 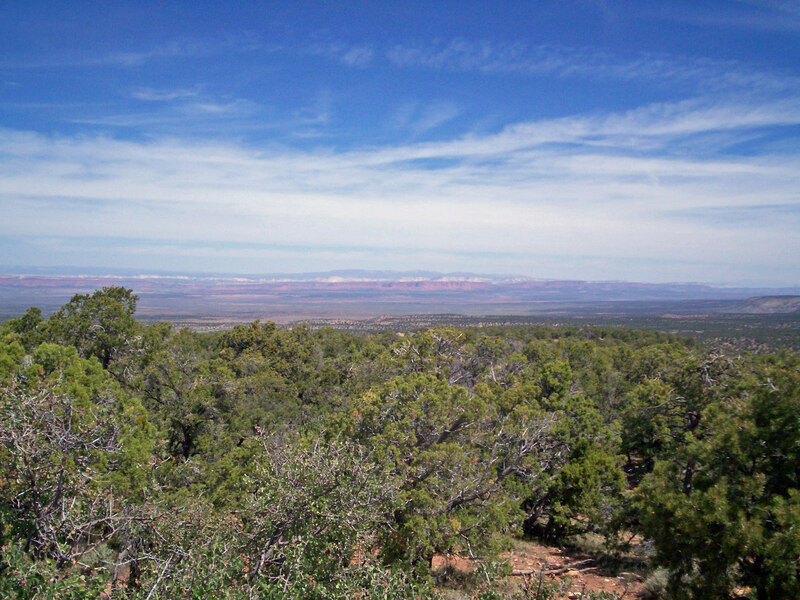 Climate changes increased the potential for high-severity fire in the Jemez study area, but did not impact fire regime characteristics in the Kaibab. Intensified management treatments somewhat reduced wildfire frequency and severity; however, management strategies did not prevent the reorganization of forest ecosystems in either landscape. Our results suggest that novel approaches may be required to manage future forests for desired conditions.